A classic Henley gets a comfortable upgrade with a cozy hood. The hooded shirt is very comfortable . It light but warm. Great on cool days. This is very nicely made of a waffle knit material. I am really pleased with it. It looks & feels great! 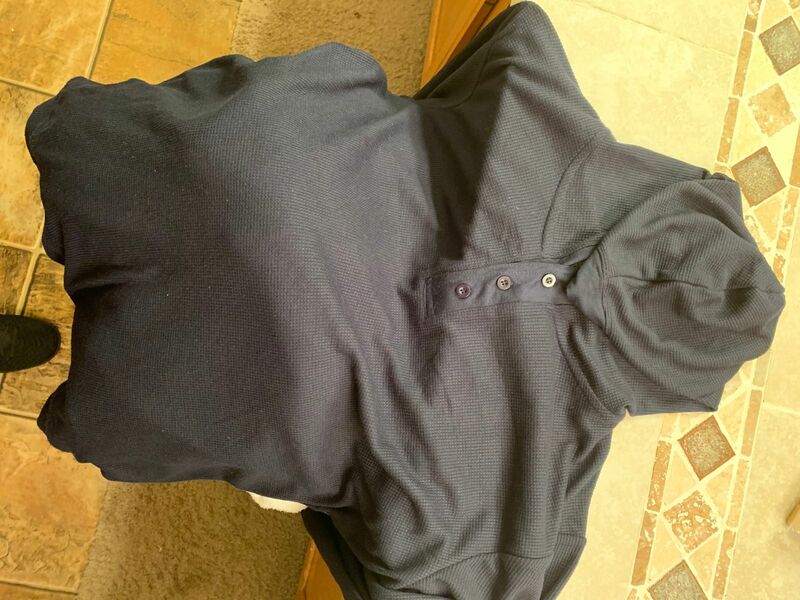 Heather G. Reviewed by Heather G.
Good fit-light hoodie-nice simple design.